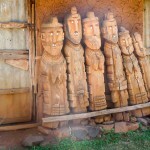 A very different Ethiopian experience! This wonderful tour is all about people, communities, wildlife and very stunning and stimulating countryside. And all our tours are not-for-profit! 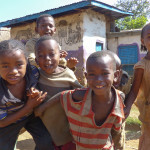 By coming with us you will be supporting and helping the education of Ethiopian children. What could be better! If you’re already familiar with Ethiopia’s Rift Valley you can read more about our Historic Ethiopia tour here, and our Tribes, Mountains and Caves tour here. To Ethiopia: Coming from the UK, we take an evening flight out of Heathrow to Addis Ababa. This drops us down into Bole Airport around 7am when the sun is shining and Addis presents a welcoming initial vision of the country. 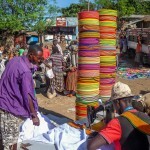 We abandon all luggage for a while and wander off for some restorative coffee in the colourful Bole area. 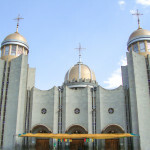 We visit the wondrous new church of Medhane Alem with its imposing, elegant architecture and beautiful wall paintings. 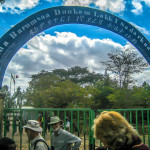 We also pop into the bank and have another relaxing coffee before returning to the airport to take an early afternoon flight to the southern town of Arba Minch – the ‘Forty Springs’. Our Toyota Landcruisers and drivers are waiting for us at the airport, staying with us for the whole trip thereafter. We also meet the first of our local guides who will show us round this very scenic area. 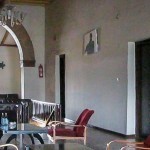 We check into the comfortable rooms of the Ezana Hotel and get ready for expeditions on the morrow! 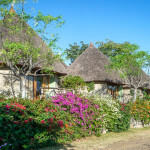 Saturday morning sees us appreciating the comfort of our vehicles as we leave the tarmac road surface outside the town and speed up into the nearby hills to visit a Dorze tribal village with its extraordinary houses and ultimately colourful woven cloths. 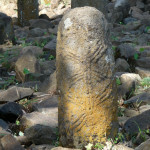 We then climb to the very highest point, to the Saturday Chencha market, where we see local tribal artefacts and basic foodstuffs quite different from those we might have seen in the Amharic north of the country. The traditional honey wine called ‘tej’ is nevertheless still on offer here if we wish to sample it. After a late lunch, we drive back to our hotel for some relaxed downtime before wandering off for drinks and dinner on the dramatic terrace of the Bekele Molla Hotel, overlooking Lake Chamo where we shall continue our exploration in the morning. The roads in the Nechisar National Park are now in too bad a condition to allow our vehicles access. 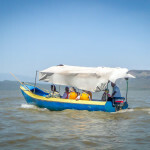 So instead, our guide takes us onto Lake Chamo in a sturdy boat (with plentiful life-jackets!) 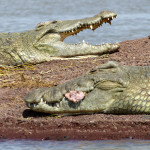 where truly huge crocodiles and hippos bask in the sunshine just metres from us, with herons, fish eagles and flocks of pelicans occupying the ever-present backdrop. The wildlife here is quite extraordinary! An hour or so of gentle savannah walking amid wild zebra is followed by our own fine picnic lunch eaten under the awning of our boat. 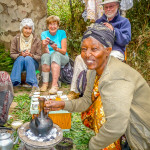 A quick coffee stop is taken before starting our afternoon transfer to the tribal town of Konso, where we meet a new guide from the Konso tribe and settle into the very beautiful and characterful Kanta Lodge perched high on the hillside amid gardens filled with Bougainvillea of every imaginable colour. Monday provides us with another extraordinary day, again using our sturdy vehicles to take us into the wild, beautiful countryside of the Konso people. First we visit a natural phenomenon known locally as “New York” for reasons that will become evident – believe it when you have seen it! Then we leave our vehicles in the safe care of our drivers and stroll with our Konso guide down a long country lane where a wide variety of crops is growing in a uniquely individualised way. 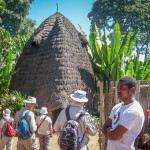 At the end of the lane we arrive at Mech’eke, a model Konso village and an extraordinary style of community living, offering potential for more amazing photos. Picnic lunch is taken under the spreading branches of a large and ancient tree before returning to Konso for a brief visit to some Monday markets. Our day’s activity ends with a visit to the new Waka museum, conveniently opposite our hotel, where some of the ancestors of the Konso people await us in a truly informative setting. The day ends with an excellent evening dinner and relaxation amid flowers and shade-giving trees. We now have a major day of travel as we move round the southern extremity of the Rift Valley lakes and start on our journey up the eastern shores. We move through the ever-changing countryside, passing very few other vehicles and using our cameras at will. Again our delicious hand-made picnic sustains us in between the occasional, rather hard-to-find coffee stops. We are bound for the friendly town of Yirgacheffe, world famous for its excellent coffee, where we check into a comfortable new hotel on the edge of town. 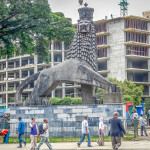 Ethiopia is known as the Cradle of Mankind and the area between Yirgacheffe and Dilla gives us a chance to explore a little of Ethiopia’s prehistory. 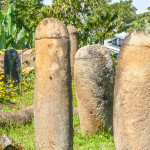 Our vehicles again take us off-piste to find ancient stelae and phallic stones, passing through attractive and simple rural villages where tourists are still a very rare sight. After this fairly short visit, we have some more locally-grown coffee before continuing in a northerly direction. 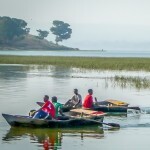 After a hotel lunch en route we have just a short transfer to the welcoming and expansive lakeside town of Hawassa and the New Pinna Hotel in the middle of the high street. After a wash and brush up, we probably cannot resist a twenty-minute walk down to the lake’s edge for a machiato or beer as the sun goes down. 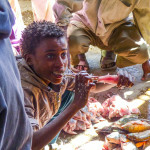 After breakfast, our vehicles take us to the edge of town for a morning visit to the Hawassa Fish Market. Here we witness the daily spat between the numerous fishermen and a considerably greater number of varied birds, all vying for the piscatorial spoils! 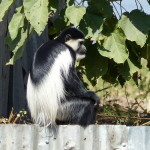 Colobus and vervet monkeys also share some of the action in this colourful scene, with immediate filleting, cooking and eating going on as part of this vibrant area. After this, it’s free time for everyone – to wander along the water’s edge counting the thirty or more species of birds fearlessly feeding just metres from our eyes, or strolling through the wide, airy streets with perhaps a little shopping just at the back of our minds! After lunch, we can walk a couple of hundred metres to visit the impressive St Gabriel’s Church at the top of the high street. Dinner is taken in the comfort of the Lewi hotel, but possibly not before being lured once again down to the water’s edge for a final relaxing drink as the sun sets. 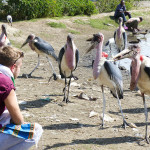 Watch out for the Marabou storks! Today’s journey again takes us northwards for a couple of hours before turning off the main road into the Abiata/Shala National Park where semi-wild ostriches, hot springs and myriad feeding flamingos take our attention. 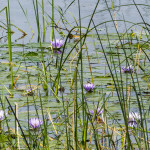 Back to the road, it is just a short hop to the isolated banks of Lake Langano where we have a restaurant lunch before a quiet afternoon of exploring, sitting, reading and listening to music. Late afternoon sees us checking into the attractive Bethlehem Hotel by Lake Ziway – very clean, very comfortable, very secluded and very attractive. A sneak preview of the next day’s adventures is only a stroll away down by the lake itself before a good dinner and bed. 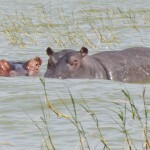 An extraordinary wildlife morning is on the cards again as we wander down to the lake and transfer into boats for a short but memorable journey of exploration, experiencing the densest bird-life imaginable on the water’s edge and visiting hippos gambling in the shallows in the middle of the lake. 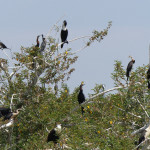 A few minutes further and we are looking at crowds of cormorants and spoonbills on what is inevitably called Bird island. The next island we come to has an isolated monastery at its highest point. But it’s perhaps not the monastery that will remain in your memory. Our Tours Coordinator, Eyayaw, has named this Spider Island and you might just want to take a rain-check here and stay in the boat while the rest of us walk the couple of hundred metres or so to the summit through trees and bushes absolutely covered with spiders webs, with their owners in plentiful evidence. Six or seven centimetres from toe to toe is no exaggeration! 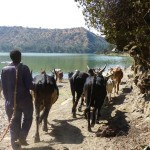 Back on dry land we stop off for a hotel lunch on the way to the Rastafarian town of Shashemene and then arrive at Bishoftu, the home of Link Ethiopia’s southern office and a town set amid numerous dramatic volcanic crater lakes. It is also the home of the Ethiopian Air Force. We check into the stylish Pyramid Hotel, right on the furthest edge of town. After a good breakfast under the hotel’s gazebos, we go a short distance to be guests of our young office manager’s family in simple surroundings for coffee ceremonies and injera cooking instruction. 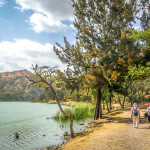 After a lunch eaten overlooking the dramatic and steep-sided Lake Bishoftu, we drive to the friendlier edge of Lake Hora, the most attractive of the crater lakes, for an hour or so of lakeside walking. 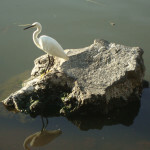 Once again, it is the combination of birdlife and tranquil scenery that makes the experience memorable. 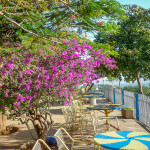 Teatime finds us at Ethiopian Airforce Officer’s club overlooking the lake. You might even prefer a gin and tonic at this point. We’ll have dinner at one of a variety of really good eating places here in town. This is our Link Ethiopia morning. After visiting the office compound and saying hello to our friendly young staff, we are taken to visit a couple of the local schools supported by Link Ethiopia. We can put our heads into the classrooms and ask a few questions of the youngsters if you’d like to. A buffet lunch will be offered back at the office compound before we start out for Addis Ababa once again and a final chance to find souvenirs to take back with us. 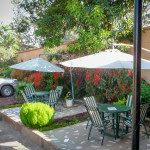 The peaceful and comfortable Sheba Guesthouse, set in a private embassies area, is our resting place for the night, with the popular Antika Restaurant nearby for our last dinner. 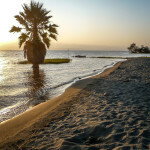 Bole Airport is not far away in the morning for our daytime flight back to home and normality, arriving mid-afternoon. 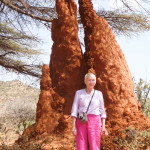 Who is this Rift Valley tour for? 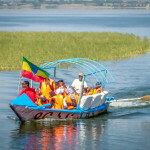 This is an ideal tour for anyone who might already have visited the more traditional Amharic Ethiopia of Gondar, Lalibela, Bahir Dar, etc in the north – or at least who has had some reasonably adventurous previous travelling experience. Here is a very fascinating and different view of the country. The tour is a not-too-strenuous experience as a member of a small group travelling in friendly comfort with expert and knowledgeable guidance. 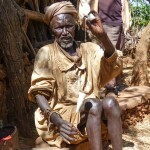 Unrivalled experience – we have worked and travelled in Ethiopia for over twenty years. Expert guides – accompanied throughout not only by Link Ethiopia’s Director, Chris Grant, but also by members of our friendly, local staff. 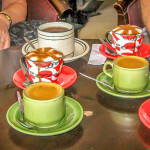 Intimately small groups – generally limited to a maximum of eight guests. All profits going to a good cause – this is a totally non-profit trip. 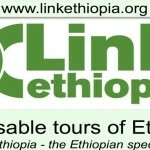 Your leader, our Director, is a volunteer in all his work with Link Ethiopia. And part of the overall cost is already a generous donation to our work and will be spent exclusively helping the education of the children of that country. 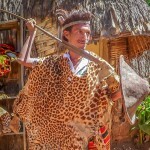 Unique opportunities – our knowledge of Ethiopia and fluency in the local language enables us to leave the tourist trail and introduce you to warm and welcoming people in colourful and unique situations. Ethiopia is served by several reliable international airlines and a tried and tested domestic airline. 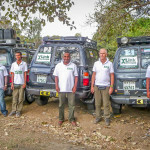 We use well-maintained Toyota Landcruisers throughout the entirety of this tour and our drivers are tried and tested by us for their skills, their safety, their experience and their good nature. 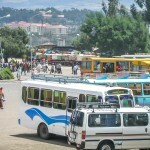 The main roads in Ethiopia are often newly tarmaced and facilitate comfort and efficiency. But this tour frequently goes off-piste to explore much more unusual areas, making the comfort and quality of our vehicles of utmost importance. The hotels we use are always comfortable, clean and secure, with one or two rather special situations on this tour. Twin, double or single rooms are available. All meals are included in the cost of this tour without any restrictions, and a drink will always be offered at every meal. The only expense not already covered here is for any alcoholic intake you may wish to indulge in. 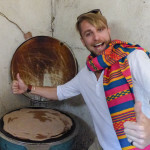 The general quality of food has improved hugely in Ethiopia in the past few years and the main restaurants and hotels now serve some very enjoyable and tasty dishes indeed. Local food can be sampled during the tour if you wish, but the main menu of our journey will consist of very enjoyable dishes influenced by all sorts of international cultures – pastas, pizzas, wonderful fresh fish dishes, a range of meat stews and roasts, etc. The choice will be yours. 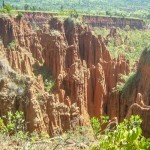 On this Rift Valley tour, guests can expect very warm/fairly hot pleasant days and refreshingly cooler nights. There is not likely to be any rain of consequence at all on this trip. An odd shower will be extremely brief and cause us little inconvenience. Rainwear is therefore unlikely to be needed, although a lightweight umbrella can serve as a welcome sunshade. A light sweater or shawl can come in handy when dining on the terrace in the evening. We would always provide a member of our UK team to travel with you to support Link Ethiopia’s local Tours Coordinator, Haile Ayano. In several places on the tour, you are also in the company of local expert guides who share their detailed knowledge of the specific area. A deposit of £500 is needed to confirm your tour place. 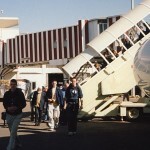 Visas are easily obtained on arrival at the airport in Ethiopia. **But please note that you must have a minimum of 6 months left on your passport at the date of leaving Ethiopia. For your financial protection, Link Ethiopia is a member of Trust My Travel and our membership number is TMT10806. All money paid by guestsfor the main tour cost is paid directly into an independently managed Trust Account held at Barclays Bank in the UK. This means that, in the unlikely event of our financial failure, you will receive a refund for all the services you have paid for. 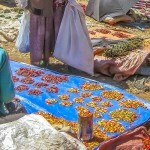 This money is not received by Link Ethiopia until you have completed your trip and all suppliers have been paid. Trust My Travel is authorised and regulated by the Financial Services Authority under the PSR 2009: No. 569641. For more information about how your payments are protected please visit www.trustmytravel.com/logos/ for more information. Please consult your doctor regarding vaccinations. 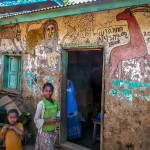 Ethiopian towns have numerous clinics with knowledgeable doctors in attendance and many of the places where we stay on this tour have creditable hospital facilities. A little more detailed information on this aspect will be shared while preparing for this tour. 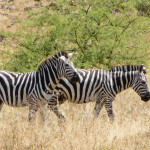 Unlike the places visited on the Historic Ethiopia tour, this Rift Valley tour takes you to places rarely visited by the average tourist in Ethiopia. But the people are always welcoming and positively excited to meet you and interact with you. 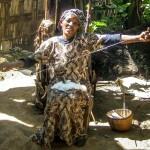 Those accompanying you on your journey know this region of Ethiopia well and their advice and care will ensure a thoroughly enjoyable experience. 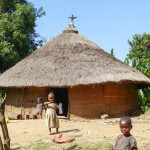 Ethiopia is usually a very low-key country as regards the approach of the local people to visitors. 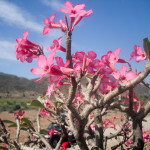 Their welcome and their good nature is a very special feature of all our tours. 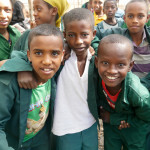 Link Ethiopia is an organisation that has been supporting education in that country for more than twenty years. It has offices in Kings Cross in London, as well as in northern Ethiopia (in Gondar) and in southern Ethiopia (in Bishoftu/Debre Zeit). The London office steers projects and activities, while in Ethiopia over twenty committed and energetic local employees make sure that Link Ethiopia’s work is carried out efficiently and productively. 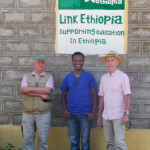 Link Ethiopia manages and supports almost a hundred links between UK and Ethiopian schools. Its Child Sponsorship scheme ensures that many of the poorest children are able to be educated in a regular and meaningful way. Volunteers from the UK and many other countries work for varied periods of time in Link Ethiopia’s programme to help improve English skills. And Link Ethiopia also works alongside communities in facilitating training, providing resources, and building very necessary school resources – toilets, clean water, classrooms, libraries, etc. Our standard booking conditions can be found here: Standard Booking Conditions.